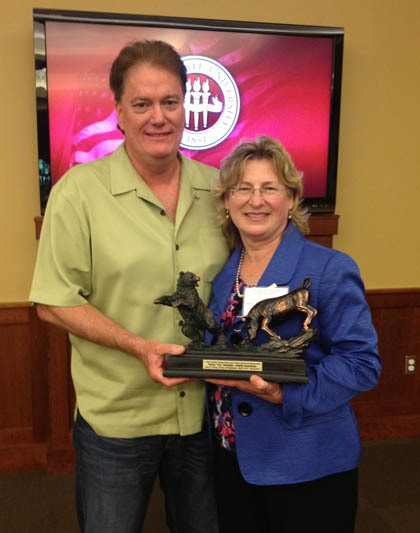 On behalf of the Board of Trustees, Dave Williams presented a token of appreciation to Trish Shoemaker on May 21, 2013. In brief, Chapters 175/185, Florida Statutes, the legislature declared that it is a proper and legitimate state purpose to provide a uniform retirement system for the benefit of firefighters and police officers. It further directed that such retirement systems or plans be managed, administered, operated and funded to maximize the protection of the Municipal Police Officers Retirement Trust Funds and the Firefighters' Pension Trust Funds. Florida Statutes placed the responsibility for the daily oversight and monitoring of the plans with the Division of Retirement. Those responsibilities include receiving and holding the premium tax moneys collected and disbursing those moneys to the Police Officers and Firefighters' Retirement Plans. 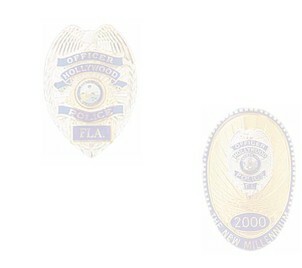 The Municipal Police Officers and Firefighters' Retirement Trust Funds Office, housed within the Division of Retirement, is the state entity responsible for the administrative oversight of local police and fire pension funds in the State of Florida which participate under Chapters 175/185, Florida Statutes. Chapter 175 refers to firefighters' plans and Chapter 185 refers to the police officers' plans. Trish has protected the protectors for nearly forty years. For that we are eternally grateful. Enjoy your retirement Trish. You will be missed.